1997-2000: Koşuyolu Heart and Research Hospital, Cardiology Residency Program. Istanbul, Turkey. 1. Member of Turkish Society of Cardiology. 1. Experience in high volume tertiary center at Kosuyolu Heart and Research Hospital, one of the high volume Heart Center in Istanbul (echocardiography 50-75 per day, transesophageal echocardiography 10 per day, 20-30 coronary aniography per day, invasive procedure 10-15 per day. Performed more than 300 percutaneus mitral valvatomy in Gaziantep University, School of Medicine, Department of Cardiology which is located in an endemic area for rheumatic valve diseases in South-East Anatolia region in Turkey. Also experienced in echocardiographic and cardiologic follow up of transplanted patient at heart transplantation division. 2. Main ineterests are transthoracic and transesophageal echocardiography, coronary artery disease, valvular heart disease, and valvular heart disease pathophysiology. 4. Performing and supervising diagnostic cardiac catheterization, valvular heart diseases diagnosis and treatment and evaluating transthoracic, stress and transesophageal echocardiography studies as well as exercise testing at Department of Cardiology. 5. Mentored more than 15 residents and fellows in clinic. 6. Supervising and providing the Postgraduate Seminaries (weekly) in Gaziantep Medical School for four years (2012-2016). 7. International Relations-Undergraduate-Phase I: Passed with Honorary degree (2014-2015). International Relations-Undergraduate-Phase II: Passed with Honorary degree (2015-2016). a) “Circulating microRNA expression profiles of chronic rheumatic mitral valve disease” which this work was supported by The Scientific and Technological Research Council of Turkey (1001 project # 112S569). a) Davutoglu V, et al. Early repolarization patterns in the coronary slow flow patients (Abstract 86451). 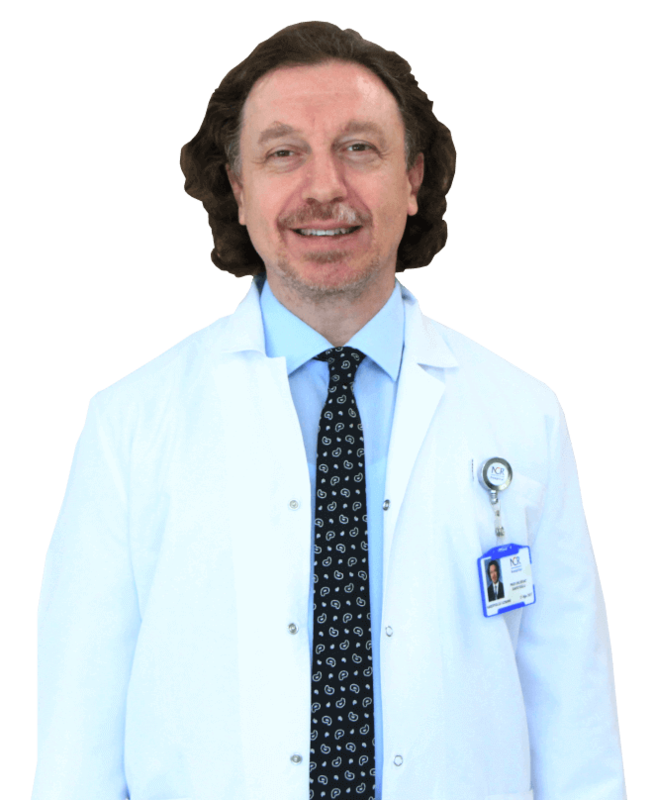 Served as a reviewer in many cardiology fields SCI or SCIE journal including Circulation, American Journal of Cardiology, International Journal of Cardiology, Journal of Heart Valve Disease, Archives of Turkish Society of Cardiology, Anatolian Journal of Cardiology, Cardiovascular Journal of Africa, Case Reports in Internal Medicine, Current Drug Safety, Dicle Medical Journal, Gaziantep Medical Journal, Dicle Medical Journal, International Journal of Cardiovascular Academy, Journal of Hematology & Transfusion, Kosuyolu Medical Journal, European Journal of Rheumatology. 1. Received Young Clinician Scientific Awards by Turkish Society of Cardiology in 2004. 9. ACCSAP7 Clinical Wisdom from 130 World Renowned Experts-Certificate of Participation. • “Exercise and Human Reproduction”. 2) Following AHA guideline of Acute Coronary Syndrome (2016) cited Davutoglu’s reserch “Factors associated with prolonged prehospital delay in patients with acute myocardial infarction. Turk Cardiol Society Arch. 2008”. This study has been cited in the American Heart Association guideline which guided the treatment of cardiologist in the wordwide. 4) “Influence of recurrent electroconvulsive therapy on cardiac function. Med Princ Pract 2014” has been cited in the book of “Anesthesia Management for electroconvulsive Therapy: Practical Therapy”. 6) “Double right coronary artery: review of the literature. Int J Cardiovasc Imaging 2006”. Tis review has been cited in the book of “CT Atlas of Adult Congenital Heart Disease”. 7) “Incessant monomorphic ventricular tachycardia during febrile illness in a patient with Brugada syndrome: fatal electrical storm. Europace 2003” has been citedin the book of “Electrocardiography of Complex Arrhytmias” and in the book of “Principles and Practice of Clinical Cardiovascular Genetics” and in the book of “Brugada syndrome Clinical and Pathophysiological Aspects” and in the book of “Further insights into inheritable arrhythmia syndromes Focus on electrocardiograms” and in the book of “Evidence-Based Cardiology, Third Edition”. 10) “Intermittent Brugada Syndrome misdiagnosed as acute myocardial infarction and unmasked with propafenone. Heart. 2002.” Has been cited in the book of “J Wave Syndromes: Brugada and Early Repolarization Syndromes” and in the book of “Further insights into inheritable arrhythmia syndromes Focus on electrocardiograms”. 11) “Giant hiatal hernia presenting with stable angina pectoris and syncop. Angiology, 2001” has been cited in the book of “Laparoscopic Hernia Surgery: An operative guide”. 12) “Uncomplicated metabolic syndrome is associated with prolonged electrocardiographic QTc and QTc dispersion. Annals of Noninvasive Electrocardiography. 2006.” Has been cited in the book of “Modulation of Sleep by Obesity, Diabetes, Age, and Diet”. 14) 14) “Relationship between mitral annular calcification and renal impairment: what is the link? Int J Cardiol. 2009”. This novel proposal about the pathopysiology of valve disease-renal disease relationship has been cited in the book of “Multimodality Imaging in Cardiovascular Medicine”. 15) 15) “ Sydenham’s chorea-clinical characteristics of nine patients. Int J Cardiol, 2004” has been cited in the book of “Neale’s Disorder of the Foot” and in the book of “The Differential Diagnosis of Chorea”. 16) 16) “Contribution of selected serum inflammatory mediators to the progression of chronic rheumatic valve disease, subsequent valve calcifcation and NYHA functional class. J Heart Valve Dis, 2005” has been cited in the book of “Percutaneous Treatment of Left Side Cardiac Valves” and has been cited in the “Rheumatology Textbook”. 17) 17) “Acute sleep deprivation is associated with increased QT dispersion in healthy young adults.” And “Acute sleep deprivation is associated with increased electrocardiographic P-wave dispersion in healthy young men and women.” which those two articles published in the Pacing Clin Electrophysiol. 2008, were cited in the book of “Sleep Deprivation and Disease: Effects on the Body, Brain and Behavior” and in the book of “HANDBOOK OF BEHAVIORAL MEDICINE 2010”. 18) 18) “Initial clinical experience with novel biodegrable ring in patients with functional tricuspid insufficientcy: Kalangos Biodegrable Tricuspid Ring. Thorac Cardiovasc Sur, 2007” was cited in the book of “Transcatheter Closure of ASDs and PFOs: A Comprehensive Assesment”. 19) 19) “Right atrial appendage: forgotten part of the heart in trial fibrillation. Clin Appl Thromb Hemost. 2010” was cited in the book of “Transesophageal Echocardiography for Congenital Heart Disease”. 20) 20) “Fibrinolytic therapy of prosthetic mitral valve thrombosis during pregnancy. Clin Appl Thromb Hemost, 2010” was cited in the book of “Drugs During Pregnancy and Lactation: Treatment Options and Risk Assesment”. 1. Davutoglu V, Celik A, Aksoy M. Contribution of selected serum inflammatory mediators to the progression of chronic Rheumatic valve disease, subsequent valve calcification and NYHA functional class. J Heart Valve 2005;14:251-256 Dis. 5. Uyar M, Davutoglu V. An update on cardiovascular effects of obstructive sleep apnoea syndrome. Postgrad Med J. 2016 Jun 17. 6. Marso SP, Daniels GH, Brown-Frandsen K, Kristensen P, Mann JF, Nauck MA, Nissen SE, Pocock S, Poulter NR, Ravn LS, Steinberg WM, Stockner M, Zinman B, Bergenstal RM, Buse JB; LEADER Steering Committee; LEADER Trial Investigators. Liraglutide and Cardiovascular Outcomes in Type 2 Diabetes. N Engl J Med. 2016; 28;375:311-22. 7. Yuce M, Bayram N, Ozer O, An unusual cause of pulmonary hypertension: Swyer-James-Macleod syndrome. Davutoglu V. Int J Cardiol. 2016 Aug 8;223:212-214. 9. Dinckal MH, Aksoy N, Aksoy M, Davutoglu V, Dinckal N, Soydinc S, Akdemır I. Acute rest perfusion imaging in high risk unstable angina: association with troponin T and clinical endpoints. Int J Cardiovasc Imaging 2001;19:511-517. 10. Ertaş F, Kaya H, Yıldız A, Davutoğlu V et al. An epidemiological study to evaluate the use of vitamin K antagonists and new oral anticoagulants among non-valvular atrial fibrillation patients in Turkey- AFTER-2 study design. Archives of the Turkish Society of Cardiology. 2015;43:169-77. 11. Alici H, Balakan O, Ercan S, Çakici M, Yavuz F, Davutoğlu V. Evaluation of early subclinical cardiotoxicity of chemotherapy in breast cancer. Anatol J Cardiol. 2015;15:56-60. 12. Yavuz F, Ozer O, Ercan S, Yuce M, Davutoglu V, Alici H, Pusuroglu H, Orkmez M, Kaplan M, Basanalan F, Tarakcioglu M. Relationship between coronary in-stent restenosis and plasma urotensin II level. Minerva Cardioangiol. 2014;62:297-303. 13. Ercan SL, Karslı VM, Davutoglu V, Huraibat A, Oylumlu M, Inanç IH, Yuce M, Aksoy M. [Comparison of controlled pressure belt-allowing mobility to sandbags after percutaneous coronary intervention: pilot study]. Archives of the Turkish Society of Cardiology. 2013;41:699-704. 21. Sari I, Acar Z, Ozer O, Erer B, Tekbaş E, Uçer E, Genç A, Davutoğlu V, Aksoy M. Factors associated with prolonged prehospital delay in patients with acute myocardial infarction. Archives of the Turkish Society of Cardiology. 2008;36:156-62. 32. Alıcı H, Ercan S, Bulbul F, Alıcı D, Alpak G, Davutoglu V. Carcadian Blood Pressure Variation in Normotensive Patients With Panic Disorder. Angiology. 2014;65:747-9. 33. Davutoglu V, Dogan A, Okumus S, Demır T, Tatar G, Gurler B,Ercan S, Sarı I, Alıcı H, Altunbas G. Coronary Artery tortuosity: comparison with retinal arteries and carotid intima – media thickness. Kardiol Pol 2013;71: 1121-1128. 35. Yılmaz N, Cicek HK, Celik A, Meram I, Kocabas R, Davutoglu V. Diagnostic value of homocysteine, C-reactive protein and bilirubin for coronary artery disease. East Mediterr Health J. 2007;13:522-35. 37. Yilmaz N, Cicek HK, Celik A, Davutoglu V. Diaognostic value of bilirubin concentrations compared with novel and traditional biomakers in atherosclerosis with coronary artery disease. Saudi Med J 2006;27:1262-4. 45. Burma O, Ustunsoy H, Davutoglu V, Celkan MA, Kazaz H, Pektok E. Inital Clinical Experience with a Novel Biodegradable Ring in Patients with Fonctional Tricuspid Insuficiency: Kalangos Biodegradable Tricuspid Ring. Thorac Cardiovasc Surg 2007;55:284-7. 47. Al B, Yarbil P, Zengin S, Ercan S, Davutoglu V, Yildirim C. Impact of scorpion stings on electrocardiographic changes and relationship with body oxidant and antioxidant status. J Pak Med Assoc 2014;64:423-7. 51. Soydınc E, Soydınc S, Arıturk Z, Tekbas E, Cakıcı M, Islamoglu Y, Ercan S, Sarı I, Davutoglu V. Increased epicardial fat thickness is related with body mass index in women with polycystic ovary syndrome. Eur Rev Med Pharmacol Sci. 2013;17:2111-3. 53. Aksoy N, Aksoy M, Cakmak M, Gergerlioglu HS, Davutoglu V, Soydınc S, Meram I. Increased homocysteine in heart failure: a result of renal impairment? Clin Chem Lab Med. 2006;44:1324-9. 54. Yuce M, Davutoglu V, Akkoyun C, Kızılkan N, Ercan S, Akcay M, Sarı I. Interatrial Block and P Terminal Force: A Reflection of Mitral Stenosis Severity on Electrocardiography. J Heart Valve Dis. 2011;20619-23. 55. Atilgan ZA, Onat AM, Kirtak N, Sucu M, Ercan S, Davutoglu V, Sari I, Oylumlu M, Buyukaslan H. Mean Platelet Volume is Increased in active but not all Subjects with Behcet’s Disease. Eur Rev Med Pharmacol Sci. In press. 56. Coskun FY, Sucu M, Uku O, Yuce M, Ozer O, Ercan S, Davutoglu V. Myocardial Performance Index in Neurocardiogenic Syncope Patients. Cardiology Research 2014;5:183-187. 57. Tekbas E, Akdemır I, Soydın S,Alıcı H, Yavuz F, Yuce M, Cakıcı M, Davutoglu V. Mean platelet volume in functional and thrombotic prosthetic mitral valve. Blood Coagul Fibrinolysis. 2012;23:91-3. 62. Burma O, Ustunsoy H, Celkan MA, Davutoglu V, Kazaz H, Atik C. Predictive Risk Factors for Early Mortalitiy in Operative Treatment for Chronic Ischemic Mitral Insuficiency. Heart Surg Forum. 2007;10:E95-8. 63. Davutoglu V, Yıldırım C, Kucukaslan H, Yuce M, Sarı I, Tarakcıoglu M, Akcay M, Cakıcı M, Ceylan N, Al B. Prognostic value of pleural effusion, CA-125 and NT-proBNP in patients with acute decompendsated heart failure. Kardiol Pol. 2010;68:771-8. 64. Yuce M, Sari I, Davutoglu V, Ozer O, Usalan C. Bubbles around the heart: pneumopericardium 10 days after pericardiocentesis. Echocardiography. 2010;27:E115-6. 77. Ozer O, Sarı I, Davutoglu V. Right atrial appendage: forgotten part of the heart in atrial fibrillation. Clin Appl Thromb Hemost. 2010;16:218-20. 79. Davutoglu V, Gunay N, Kocaoglu H, Gunay NE C, Cavdar M, Tarakcıoglu M. Serum Levels of NT – ProBNP as an Early Cardiac Maker of Carbon Moxide Poisoning Inhalation Toxıcology 2006;18:155-158. 81. Kılıc LH, Ozaslan M, Karagoz LD, Zer Y, Davutoglu V. The Microbial Colonisation of Mobile Phone Used by Healthcare Staffs. Pakistan Journal of Biological Sciences 2009;12:882-884. 82. Akbaba M, Davutoglu V. The Doctor in the law and health clamp- what to do?. Archives of the Turkish Society of Cardiology. 2016 (article in press). 84. Ozer O, Davutoglu V, Sari I, Akkoyun DC, Sucu M. The Spectrum of Rheumatic Heart Disease in the Southeastern Anatolia Endemic Region: Results from 1,900 Patients. J Heart Valve Dis 2009;18:68-72. 86. Soydinc S, Davutoglu V, Akcay M.Uncomplicated Metabolic Syndrome Is Associated with Prolonged Electrocardiographic QTc Interval and QTc Dispersion. Ann Noninvasive Electrocardiol. 2006;11:313-7. 98. Ozer HO, Cağlayan CE, Davutoğlu V, Sucu MM. Case images: A congenital contractile left ventricular diverticulum in the apex. Archives of the Turkish Society of Cardiology. 2009;37:77. 99. Yüce M, Davutoğlu V, Ercan S. [Aorto-coronary fistula as a complication of coronary artery bypass graft operation]. Archives of the Turkish Society of Cardiology. 2010;38:517. 101. Yüce M, Sucu M, Davutoğlu V. [Pacemaker lead fracture in a patient with tricuspid mechanic prosthetic valve]. Archives of the Turkish Society of Cardiology. 2010;38:516. 106. Ozer O, Davutoglu V, Sari I. A left aterial mobile cystic thrombus. Eur Heart J. 2008;29:3051. 107. Yuce M, Alici H, Cakici M, Davutoglu V, Sari I. Acquired Hematological Abnormalities in Aortic Stenosis. Clin Appl Thromb Hemost. 2011;17:114-5. 109. Yuce M, Yavuz F, Sari I, Davutoglu V. A rare cause of myocardial infarction: coronary embolism in a patient with prosthetic mitral valve thrombosis. East Mediterr Health J. 2011;17:887-8. 110. Ariturk, Alıcı H, Cakici M, Davutoglu V. A rare cause of syncope: cough. Eur Rev Med Pharmacol Sci. 2012 Mar;16 Suppl 1:71-2. 122. Sucu M, Davutoglu V. Corneal arcus: An indicator of severe coronary artery disease in a young adult man. Bratisl Lek Listy. 2009;110:795. 123. Sucu M, Davutoglu V. Cardiac memory T-wave changes after ventricular tachycardia in pregnancy. Am J Emerg Med. 2008;26:968. 127. Altunbas G, Gokaslan G, Ercan S, Davutoglu V, Deniz H. Contribution of Giant Aneurysm of a Membranous Ventricular Septal Defect to Right Ventricular Outflow Tract Obstruction. Thorac Cardiovasc Surg. 2013;61:320-2. 128. Ozer HO, Davutoğlu V, Cakici M, Doğan A, Sari I, Oylumlu M, Aksoy M. [Echocardiography-guided pericardiocentesis with the apical approach]. Archives of the Turkish Society of Cardiology. 2009;37:177-81. 129. Oylumlu M, Yıldız A, Ercan S, Oylumlu M,Davutoglu V. Cardiac Metasis of a Low – Grade Myofibroblastic Sarcoma. Echocardiography. 2014;31:E1-4. 131. Yüce M, Ozer O, Cakıcı M, Sarı I, Davutoğlu V, Doğan A, Alıcı H, Yavuz F, Aksoy M [Closure of secundum atrial septal defects by the Amplatzer occluder device]. Archives of the Turkish Society of Cardiology. 2011;39:35-40. 132. Akdemir I, Davutoglu V, Aksoy M. Constrictive Pericarditis Localized To Left Ventricle Presented with Left Pleural Efussion. Echocardiography. 2002;19:329-32. 134. Davutoglu V, Soydınc S, Sezen Y. Complete Lysis of Left Ventricular Giant Thrombus with FibrinolyticTherapy in Clopidogrel Resistant Patient. J Thromb Thrombolysis. 2003;15:59-63. 135. Erbagcı H, Davutoglu V, Turkmen S, Kızılkan N, Gumusburun E. Double right coronary artery: review of literature. Int J Cardiovasc Imaging. 2006;22:9-11. 137. Sucu M, Davutoglu V,Ozer O. Electrical cardioversion. An Saudi Med 2009;29:201-206. 138. Sari I, Davutoglu V. Enoxaparin – Induced Reversible Pancytopenia. Clin Appl Thromb Hemost. 2007;13:453-4. 139. Akcay M, Yeter E, Bilge M, Senkaya EB, Bozkurt M, Keleş T, Durmaz T, Davutoglu V. False Tendon Rupture Mimicking Chorda Rupture. J Am Soc Echocardiogr2009;22:972. 142. Sari I, Davutoglu V, Bayram N, Soydinc S. Fatal Giant Aortic Thrombus Presenting With Pulmonary Edema in a Patient With Chronic Obtructive Pulmonary Disease. Clin Appl Thromb Hemost. 2008;14:486-8. 143. Ozer O, Davutoglu V, Soydinc HE, Cebesoy FB, Sari I, Akcay M. Fibrinolytic Therapy of Prosthetic Mitral Valve Thrombosis During Pregnancy: Three Case Reports and Reviewof the Literature. Clin Appl Thromb Hemost. 2010;16:406-13. 145. Akdemir I, Davutoglu V,Aksoy M. Giant Left Atrium, giant thrombus and Left Atrial Prolapse in a Patient with Mitral Valve Replacement. Echocardiography 2002;19:691-2. 147. Ercan S, Dogan A, Altunbas G, Davutoglu V. Giant Pulmonary Artery Aneurysm: 12 Years of Follow-up. Case Report and Review of the Literature. Thorac Cardiovasc Surg. 2014;62:450-2. 148. Yuce M, Davutoglu V, Sari I, Ercan S, Cakici M. Giant Aneurysm of a Saphenous Vein Graft. Tex Heart Inst J. 2011;38:316-7. 151. Davutoglu V, Kilinc M, Dinckal MH. Himalayan P waves in a patient with combined tricuspid and pulmonic stenosis. Heart. 2003;8910:1216. 158. Akdemir I, Davutoglu V, Aksoy M. Intermittend Brugada syndrome midsiagnosed as acute myocardıal infarction and unmasked with propafenone. Heart 2002;87:543. 162. Dinckal MH, Davutoglu V, Soydinc S, Akdemir I, Aksoy M. Large Thrombus at the Site of Primary Sutured Atrial Septal Defect Associated With Pulmonary Embolism and Treatment by Thrombolysis. Echocardiography. 2003;20:535-8. 164. Davutoglu V, Kervancioglu S, Sezen Y. Large Rectus Muscle Hematoma with Intraperitoneal Bleeding and Fatal Abdominal Compartment Syndrome Complicating Anticoagulant Therapy. Clin Appl Thromb Hemost 2005;11:109-11. 165. Dinckal MH, Davutoglu V, Bayata S, Yesil M. Masked Complete Atrioventricular Block in a Patient with Ventricular Preexcitation. J Interv Card Electrophysiol 2004;11:33-5. 172. Soydinc S, Davutoglu V, Oylumlu M. Progress of Untreated Massive Cardiac Echinococcosis-Echocardiographic Follow-Up. Echocardiography 2006;23:780-3. 175. Davutoglu V, Soydınc S. Paclitaxel Treatment Article Misleading. J Natl Med Assoc 2003;95:1231-3.